Happy Tuesday Morning Cardinals! We wish the weather would say the same thing! 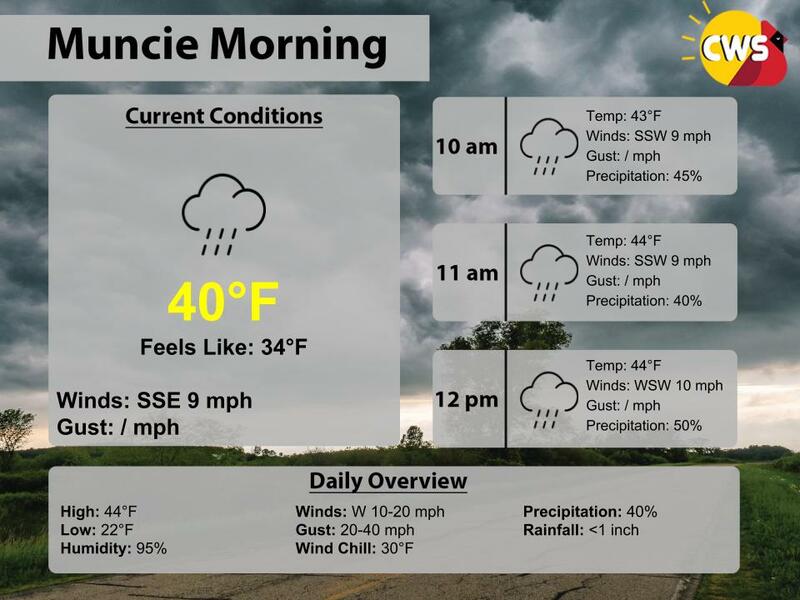 We are currently looking at very cloudy and wet conditions this morning with temperatures hovering in the low 40’s. As we move through the morning, we will get close to the mid 40’s and we will see our chances for precipitation drop, but we will still have chances for spotty showers throughout the day. Don’t forget a wind jacket as we will be expecting heavy winds this afternoon as well.